For your importation and exportation needs, Olympia International, Inc. can expedite your goods with expertise. We have 25 years of experience, facilities, and services to accommodate your products and all your shipping needs. 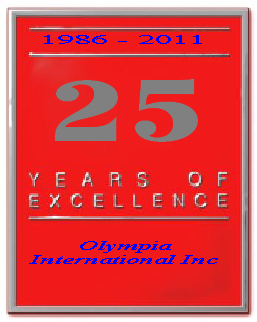 Olympia International, Inc. formed in 1986 to provide customer-centered services in the international trade market. We help our customers understand customs regulations, border crossing transportation, and the complexities of international documentation requirements. Olympia International, Inc., is C-TPAT certified by U.S. Customs and Border Protection. Compare our full range of services, our modern systems and facilities, and our competitive prices, call today (956) 725-8555 or e-mail us.